2015 Review: It is very rare as a baseball fan to be able to compare two organizations and how they go about rebuilding their teams in a completely “apples to apples” kind of way. Reason is, the two teams are normally facing completely different issues and are in different stages of their life cycle. Having said that, these Brewers, as well as the Reds who I wrote about here, make perfect comps. They both peaked around the same time (4-5 years ago) as well as faded at the same time as the Pirates got better and the Cardinals remained the Cardinals. Then eventually last year came around and the Cubs went from laughable to downright scary overnight, which going forward leaves the Reds and Brewers in almost identically dire straits. And yet, the two franchises are going about their rebuilds in completely different ways. The Reds on one hand, seem to be all about continuity. They have decided to pay big money to, and keep, most of that successful 2010-2013 core: Votto, Philips, Bruce, Cozart, Bailey, are still on the team; Aroldis Chapman and Todd Frazier are really the only major departures. These Brewers on the other hand, have in the past 18 months, traded away: Carlos Gomez, Yovani Gallardo, Jean Segura, Gerrardo Parra, K-Rod, AND longtime lovable teddy bear Aramis Ramirez. Unlike the Reds, they’ve turned over almost the entire impactful roster. 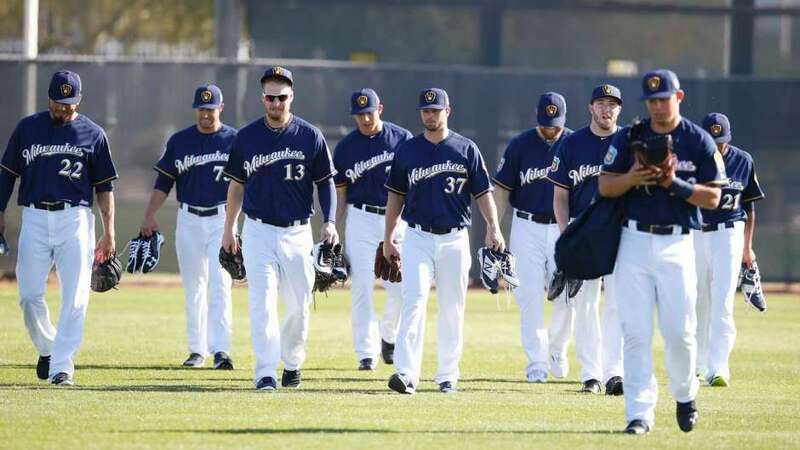 Both teams were absolutely horrible in 2015, let’s take a look at the Brew Crew. 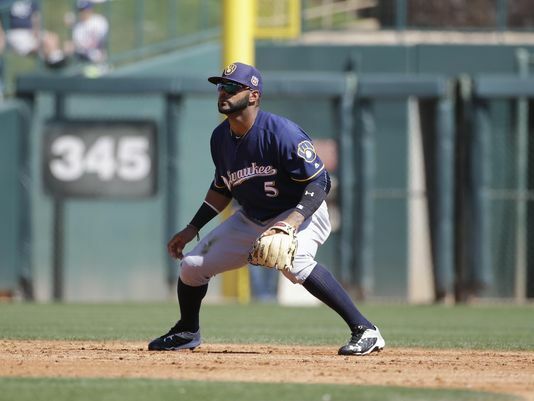 Key Additions: Infielder Aaron Hill, Jonathan Villar, SS, 1B Chris Carter and SP Chase Anderson. If Carter made more contact, walked more, struck out less, and has fewer at bats where he generously helps the pitcher out by swinging at balls 3 feet off the plate, he would be a real offensive force. Instead, has an imprudently free swinging bat with tons of raw power that profiles as only slightly above average overall. He should be real hungry on a one year deal though, so I can see a world where he goes 30/100. Aaron Hill, an always tough out who has bounced around, has had a couple of big years for both the Blue Jays (2009) and the D’Backs (2012) in the past, but at 34 may he be cooked. Either way, Hill is costing only $6.5 MM and is probably worth it for the upside. Chase Anderson is hilarious in that he’s the statistically embodiment of an ever so slightly below average starting pitcher with a Career ERA+ of 94. Villar hit .284 as a 24 year old and played good defense for Houston last year, but was made expendable by the ascension of top prospect Carlos Corriea. He could be a real value who has not hit his peak yet for these guys. Key Losses: Adam Lind, Jean Segura, Francisco “K-Rod” Rodriguez. Lind, who ironically broke out for that same Jays team in ’09 as the aforementioned Aaron Hill, is a good bat and will be missed. He swatted 20 homers for these guys last year on a 1 year deal. Segura was an underwhelming player for the Brewers for a number of recent years, save that 2013 outlier season when he was an all star. You can now find him in Arizona. Lastly, K-Rod was traded to the Motor City, then signed what amounted to a 2 year/$13 MM deal. I’m sure he feels that at 34 with 386 career saves, he is on the doorstep of the HOF, and can leave an even larger legacy behind by beating The Great One Mariano’s record of 652. That would require locking down 35+ saves/year until 40 though. Despite losing some good ballplayers this past offseason in the talent exodus, the lineup should actually be slightly above average if things go like they should. The middle has some serious POP, and furthermore there is legitimate 25-30 Homer power from 3 to 6. That’s great length right there and if Aaron Hill has a good season in the 8 spot they can score 700+ runs and be a force. I think we can easily see Villar leading off by mid season in this lineup. The starting staff is relatively unproven, but that doesn’t mean they can’t be productive in 2015 because the upside is there. Matt Garza is coming off one of the worst seasons of his career; he went 6-14 with a 5.63 ERA last year. There is almost no chance he’s that bad again, in fact he will be significantly better. Most of the rest of the staff is inexperienced, but has a lot of potential. Wily Peralta took a step back in his age-26 season, posting a 4.72 ERA after being impressive in 2014, tossing 17 games and putting up a 3.53 ERA in. 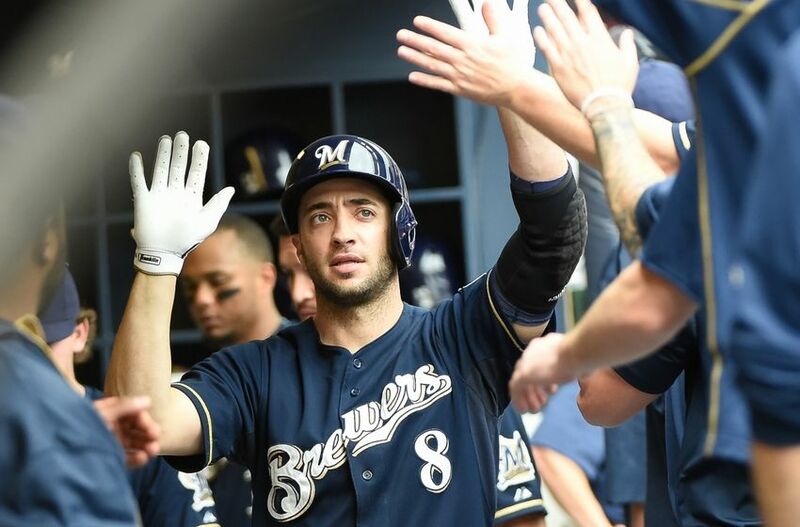 His progression into this year could determine how competitive the Brewers can be this season. 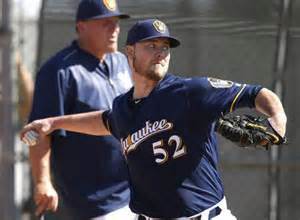 The duo of Jimmy Nelson and Taylor Jungmann will be really interesting to watch. Each showed promise last year in their first prolonged major league action. Nelson is a the owner of a 101 MPH heater and went 11-13 with a 4.11 ERA last season and got better as the year went on. Jungmann has the higher ceiling as far as prospect rankings and pedigree is concerned, but has only started 21 games in his career. In those games, all of which took place last year, he looked like he belonged. He went 9-8 with a 3.77 ERA. Chase Anderson, acquired from the Diamondbacks a couple weeks ago, looks poised to claim the No. 5 starter spot like the ho-hummer that he is. 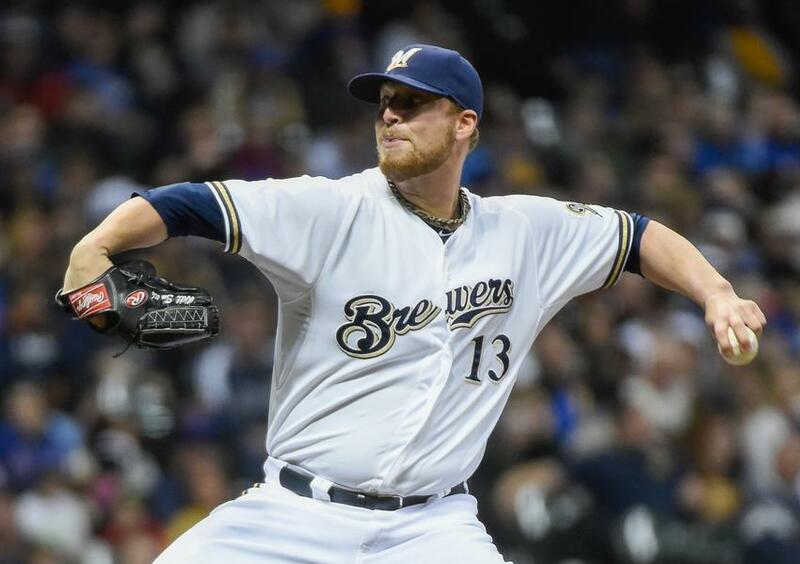 Will Smith (from the Aoki trade with KC), is the projected closer, and Tyler Thornburg and crew will be setting up. This could be a good bullpen, as all of those guys have had success in the past. If the Brewers want to win around 90 games in a tough division, this pen will be taxed with holding down leads this powerful lineup gives them. 2016 X Factor: I am honestly not going to pick one because I think there are so many here. Hard to choose only one X factor, or even a couple because there are like 7-10 guys on this team in either the rotation or the lineup who can range from being a significantly below or significantly above average player at his position. If Chris Carter becomes more disciplined at the plate , Villar is able to build upon his .284 average last year, Wily Peralta can get back to 2014 form and Braun can tie everything together with an MVP year without the ‘roids then this could be a team in contention until late July. HBTs Prediction: Ultimately that will not happen. There are simply too many ‘ifs” on this roster to validate me picking them to go .500. Not to mention, with the Pirates, Cubs and Cards in this division, it will be hard to string wining road trips together. I do not think they are as bad as the Reds, or whatever that’s worth. 72 wins.